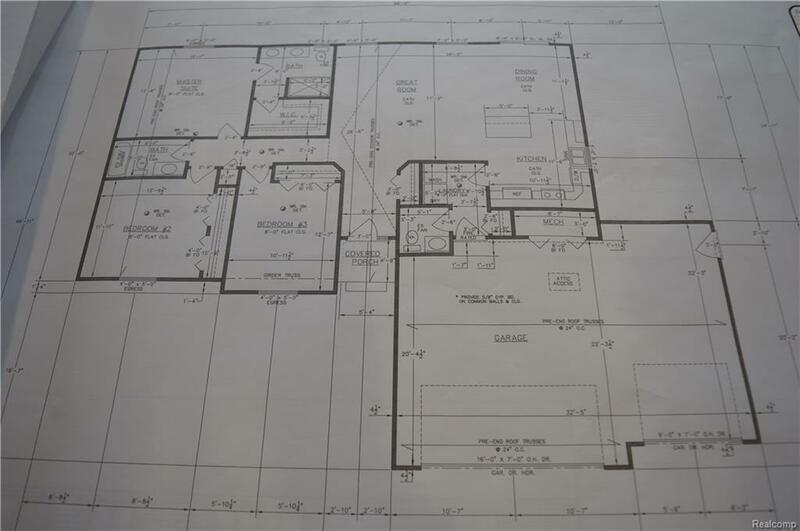 IF YOU ARE LOOKING FOR A BEAUTIFUL NEW HOME WITH A COUNTRY FEEL THIS IS THE SPOT FOR YOU! 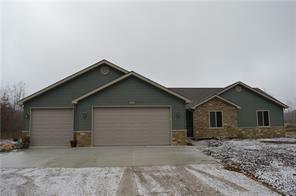 3 BEDROOM 2.5 BATH GREAT ROOM RANCH HOME FEATURING AN OPEN FLOOR PLAN WITH VAULTED CEILINGS. OPEN CONCEPT KITCHEN AND DINING AREA WITH CENTER ISLAND AND GRANITE COUNTERTOPS -MASTER BEDROOM WITH MASTER BATH BATH INCLUDING CERAMIC TILE FLOORING AND GRANITE VANITY TOP- HALL BATH WITH CERAMIC TILE AND GRANITE VANITY TOP- HALF BATH- FIRST FLOOR LAUNDRY- CENTRAL AIR- 3 CAR ATTACHED GARAGE 24 fFT DEEP WITH 8 FT GARAGE DOORS FOR LARGER VEHICLES -EXTERIOR VINAL AND STONE ACCENTS-CITY WATER-NATURAL GAS-THIS HOME IS NOT BUILT YET AND THE BUYER IS WELCOME TO PICK INTERIOR AND EXTERIOR COLORS-FLOORING, CABINETS, COUNTERTOPS, SIDING, ROOFING, ETC.